Tired of bulk-produced store clothing? Looking for something fashionable but eclectic? We found a fashion concept store stocked with handpicked clothes and accessories from across Europe and Asia. Located in one of the bylanes off Lovelock Place, Coral is a charming space inspired by the boutiques of France and Antwerp. Spread across more than 1650 sq ft, the space showcases collections of Indian (Namrata Joshipura, Pallavi Mohan, Rahul+Rohit Gandhi) and European designers (Niu, Luis Buchinho, Ella Luna, Siyu). There are dresses and gowns, pants, shirts, skirts and shrugs (no ethnicwear here) in fluid cuts and contemporary fashion. With a wide collection meant to cater to different sensibilities, you’ll find chic kaftan tops from Ella Luna to the razor sleek geometric patterned dresses of Buchinho and brilliantly hued fashionable utilitarian wear of Niu in the store. Their imported accessories section has jewellery, shoes, bags and scarves. Keeping comfort at hindsight, the shoe collection mostly includes flats, wedges and espadrilles, and bears interesting African and jute-woven patterns on them. 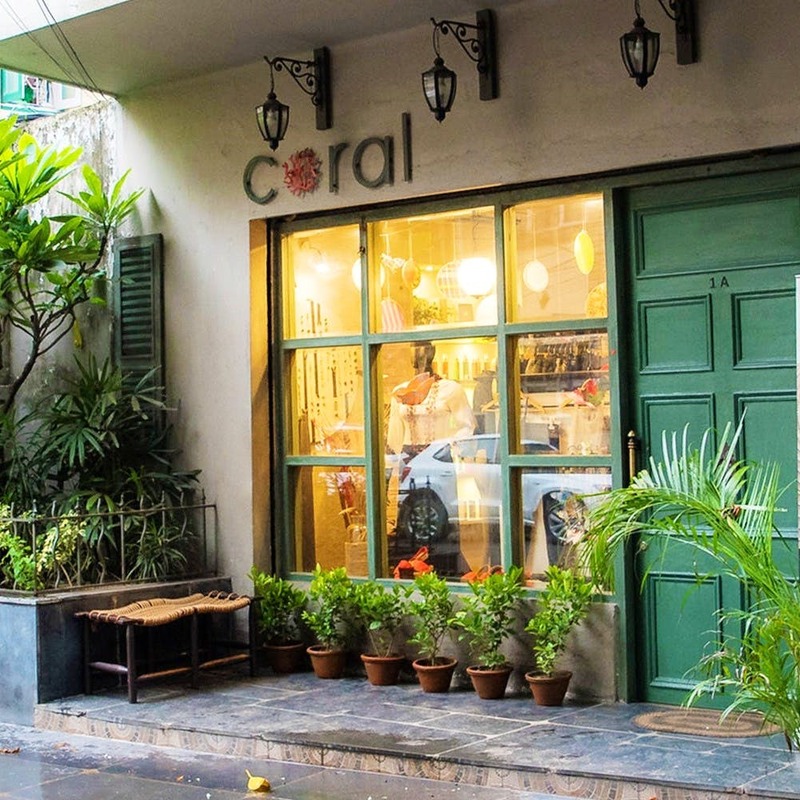 Coral is one of the few stores in Kolkata that stocks resortwear (perfect for those beachy holidays and sundowner parties). Prices of jewellery start as low as INR 1,000, while the apparels start at INR 5,000 and can go up to INR 20,000.